Your reputation is your personal brand. Synthesising branding practice and theory shows that reputation consists of: identity (how you want to be perceived); image (how you are perceived by others); character (how you are experienced by others); culture (your value set); your personality (human characteristics and personality traits); and brand essence (your long term emotional positioning). In turn, reputation is measured by its equity. Again, practice and theory (particularly the work of David Aakers, University of California Berkeley) identifies reputation equity as: loyalty; awareness; associations and quality. Reputation clearly drives reputation equity and the relationship is complex. The question is, as your reputation grows and varies across time, how to mediate the negative effects of threats to your reputation and reputation equity? And, how to amplify the positive effects of opportunities that enhance your reputation and reputation equity? 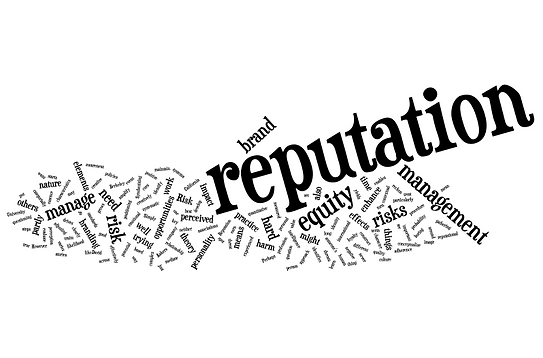 The branding profession would say it’s all brand management, and that may be partly true. However, I reckon it’s about risk management too. Before you go there, that doesn’t mean it has to be boring. Risk management is only partly about systems, policies and procedure, and adherence to international standards. These are important, but key is the nature of risk and the way we conceptualise its management. For one thing, risk management never stops: it starts with gathering intelligence that enables you to spot contextual cues that might enhance or harm your reputation. Simply put, you can’t manage risks that you don’t identify. The elements of reputation are not by nature quantitative, but then neither is risk; it’s categorially not solely about probabilities. Risk is someone’s perception of the likelihood and impact of a potential event that might harm your reputation. This means that you need to evaluate and treat reputational risks creatively. It also means that you need to construct good stories around your reputation to effectively manage risks to it and to your reputation equity. You also need to learn, not by just ‘adjusting’ your approach based on what you see, but further by questioning how threat and opportunities impact different elements of your reputation. You work hard to develop and maintain your reputation. Perhaps it’s time to be systematic, but creative, about how you manage risks to it?